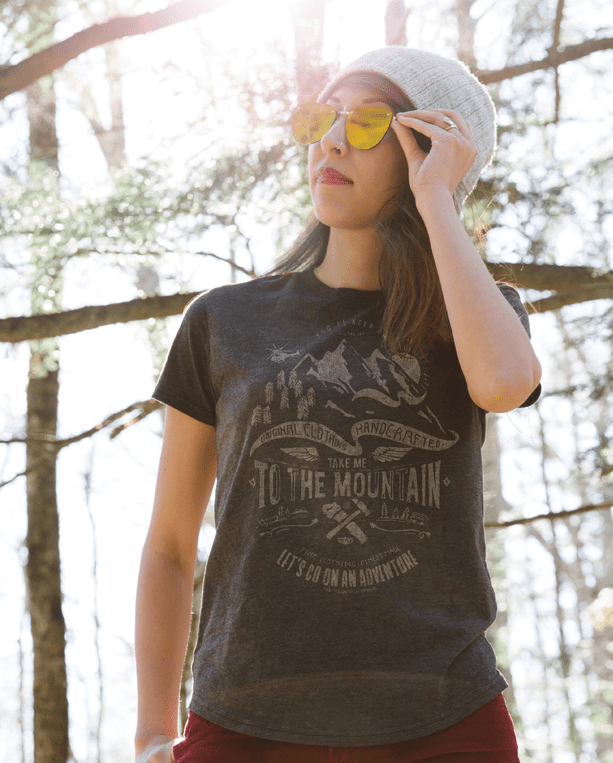 Since day one, The Mountain has been committed to creating our Artwear using sustainable manufacturing processes. We strive to operate our production facilities with a “leave no trace” attitude. This means that after we are finished dyeing and printing our graphic t-shirts, we want to ensure that there is no negative impact on our local and global environment. You could even say that being green is simply in our company’s DNA. 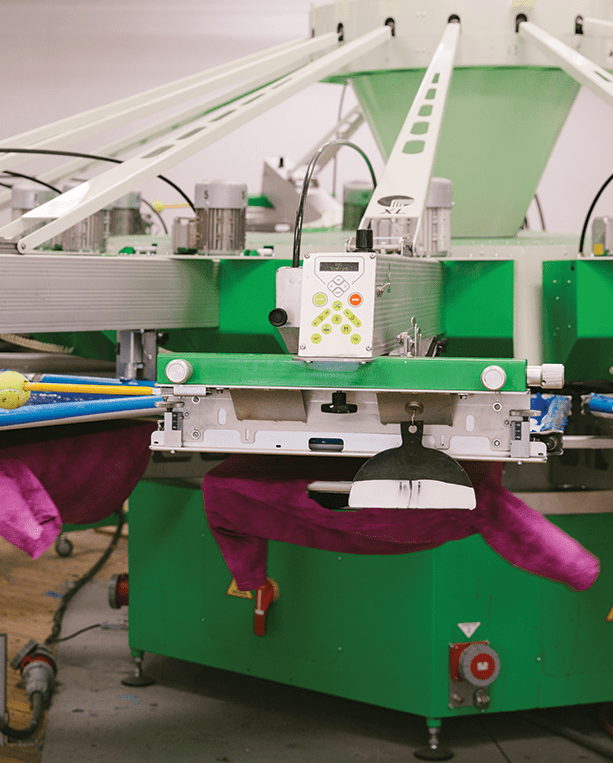 Before it was the popular thing to do, we sought out innovative methods to dye and print our t-shirts using water-based inks and organic reactive dyes. This served as the foundation for our green manufacturing process, and we haven’t looked back. Since this decision was made in the early 90s, we have continued to evolve our green philosophy and expand it beyond the walls of our production facilities. We consider ourselves true pioneers in the apparel industry, and our promise to you is to always fight for sustainability and never settle for less. Water – in both liquid and frozen form – makes up three quarters of our planet. So, we believe it’s pretty important for us to protect and preserve this valuable resource at all costs. Since 2011, we have recycled over 4,000,000 gallons of water using our Dye Oxidation Water Purification Process. 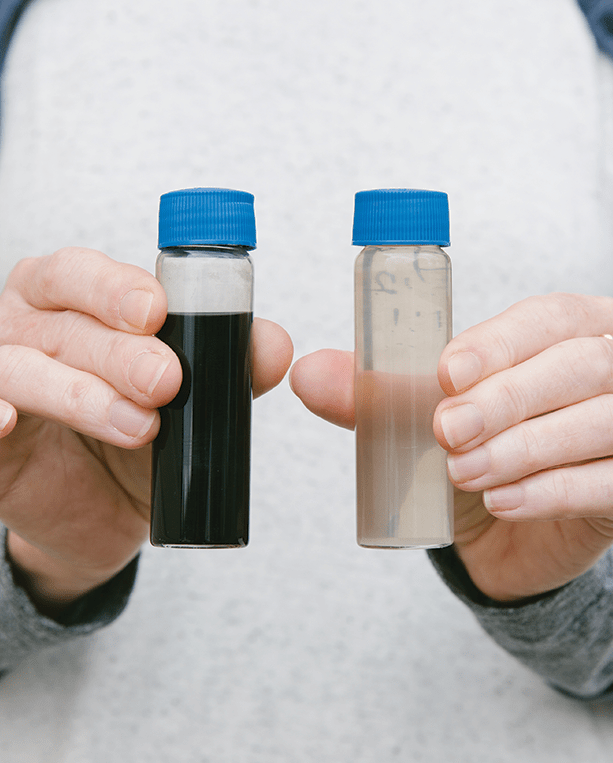 We’ll spare you the scientific explanation of how we remove dyes from our wastewater without the use of chemicals and actually enrich the remaining water with oxygen so that it can integrate with microorganisms in our local water treatment plant. Basically, we have figured out how to take the “waste” out of our wastewater, resulting in a final product that is full of oxygen and positively impacts our local water supply. And that is pretty cool. You would think that we would be satisfied with this huge win in water management, but remember, we never stop challenging ourselves to do more and be better. This is why in 2015 we installed an automated screen washing system that recycles 50% of its process water. Did we stop there? Nope. We have installed multiple filtered water filling stations throughout our two main offices, cutting down on a tremendous amount of plastic water bottle waste. And we’re not done. Being green is a lifelong commitment. We’ll never be perfect. Nobody is. However, we can be the best we can be by always keeping sustainability at the forefront of our decision making and pursuing initiatives that reinforce our green message and minimize our impact. That’s our commitment. Our sustainable efforts also begin long before the blank shirts are delivered to us. . We have a clear line of sight into our entire supply chain which means that we can define a clear standard and choose partners who share our belief that producing apparel does not have to be detrimental to our environment. Our garments are responsibly sourced from Mexico, Honduras, and India before they are hand dyed and printed at our facility in New Hampshire. So you see, we take our role as a socially responsible company pretty seriously. We may be a small company based in New Hampshire, but we recognize that our environmental impact travels way beyond our doorstep. When you receive your Mountain shirt, you can be sure that it has been made with the utmost respect and care for our planet.